I had my three nieces over for a sleepover for the first time this past Saturday into Sunday. We had a great time, watching movies, eating mac-n-cheese, playing games, typical 8- and 9-year old activities. 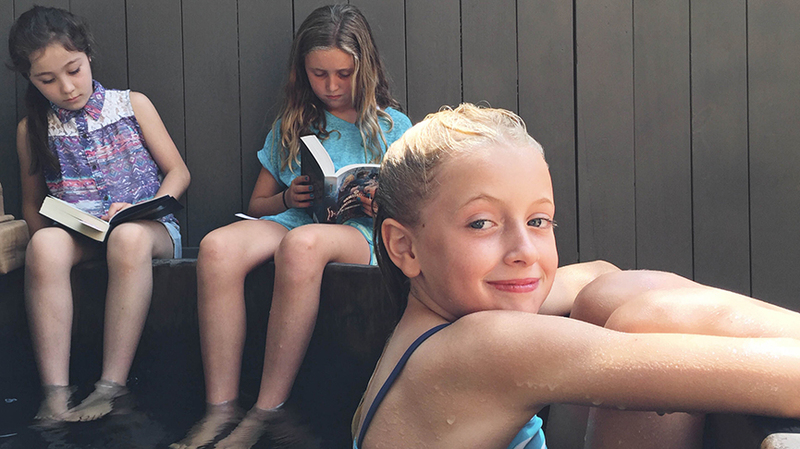 At the end of our time on Sunday, we spent a some time at one of their houses and with the heat, Makenna the 8-year old decided to swim in the cold water of the hot tub, but the 9-year olds Marin and Malia chose to just stick their toes in and read, and ignore the picture taking. Seems to sum up the difference between 8 and 9 pretty well. 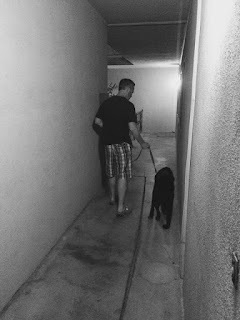 Check out Molly's image of her boys and watch for Sarah's coming soon.